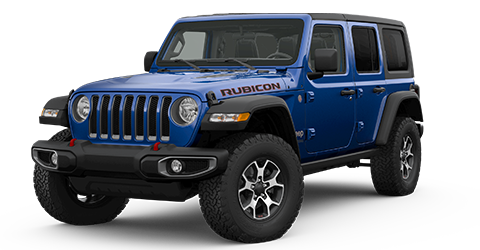 The 2018 Wrangler is a Jeep made for drivers with a characteristic tough exterior. The exterior begins with a glass rear window and a trailer hitch receiver, both of which are standard features on the Jeep Wrangler. New air extractors have been added behind the fender flares to help cool the engine compartment. Get it any way you want it: hardtop, soft top, no top or the new Sky One-Touch Power Top. Full doors or no doors; it’s all up to you. The new Jeep Wrangler is made for easy open-air driving. The new zipper-less soft top sports a spring-assist for smooth raising and lowering, while the freedom top hardtop is 20% lighter than previous hardtops. A new multi-length hinge pin system simplifies the removal and installation of doors. The new Jeep Wrangler features several color and trim options to let drivers truly love their 2018 Wrangler experience. Throughout the Dublin area and beyond, drivers discover quickly why Crown Chrysler Dodge Jeep RAM of Dublin is the premier Jeep dealership of Columbus, OH. The 2018 Jeep Wrangler is powered by a standard 3.6L V6 engine with 285 horsepower and 260 lb.-ft. of torque. It accelerates smoothly and works well with its 8-speed automatic transmission. Drivers can also choose to get a 6-speed manual transmission for this engine. This V6 engine has EPA-estimated fuel economy ratings of 17 MPG in the city and 25 MPG on the highway. The Jeep Wrangler can be powered by an available 2.0L I-4 engine that gives you 270 horsepower and 295 lb.-ft. of torque. You can enjoy its impressive performance for yourself with a test drive at Crown Chrysler Dodge Jeep RAM of Dublin. Our experienced and friendly service department on site make certain that your new 2018 Wrangler runs well for years to come. The 2018 Jeep Wrangler builds on a proven tradition of smart design combined with preventative features to help keep you safe and secure. From an advanced front and side airbag system to high-strength steel beams that improve side-impact performance and vehicle stiffness, the Jeep Wrangler has your back, your front, and your sides. The new 2018 Wrangler includes many standard safety features such as Blind Spot Monitoring (BSM) and Rear Cross Path Detection (RCPD), both of which rely on radar-based sensors to detect other vehicles. BSM will alert you if another vehicle is traveling in your blind spot, while RCPD will warn you of vehicles crossing behind you when you’re backing up. Other standard features such as Brake Assist make the 2018 Wrangler even safer. A standard panic alarm and an Ignition Disable System are both further precautions against theft. Safety is just one great aspect of the new Jeep Wrangler. Don’t just take our word for it – see for yourself now! Get to the Jeep dealer that Dublin has known and trusted for years: Crown Chrysler Dodge Jeep RAM of Dublin. Come experience everything the new 2018 Jeep Wrangler has to offer! The Jeep Wrangler Sport trim offers standard audio controls in the steering wheel and a standard 5-inch display of which is integrated with the booming 8-speaker audio system. Also available are infotainment features such as a massive 8.4-inch touchscreen with navigation. In the Jeep Wrangler Sahara trim, a standard 115-volt power outlet and several additional USB outlets ensure that everyone keeps their electronics charged, and the adventure never slows down. If you get a trim like the Jeep Wrangler Rubicon with an 8.4-inch touch screen, this infotainment system is compatible with Apple CarPlay™ and Android Auto™ as a standard feature. 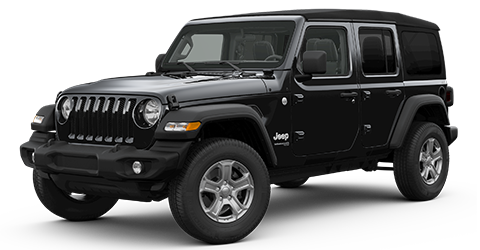 The 2018 Jeep Wrangler is a great compact SUV you can find at your preferred Columbus, OH car dealership, Crown Chrysler Jeep Dodge Ram of Dublin. If you drive near Dublin, Columbus, Springfield, Easton Town Center or Delaware, stop by our dealership today to test-drive the Jeep Wrangler.